PROJECT returns this year with new skins and a new process for joining the First Strike to unlock unique borders for loading screen cards. PROJECT Cores fuse with blueprints to unlock various types of loot. 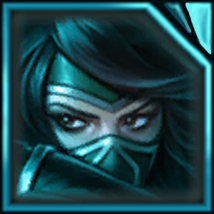 Certain blueprints allow you to craft First Strike icons for PROJECT: Ashe, PROJECT: Ekko, and PROJECT: Katarina, which you will need to secure First Strike borders for their loading screen cards. These new and existing crafting materials reside in a variety of caches that you can purchase for IP or RP. 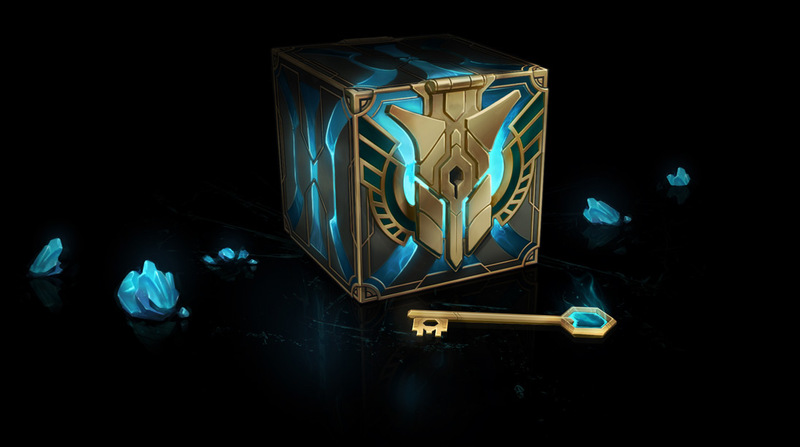 Caches are similar to Hextech chests but do not require a key to open. In our efforts to make gemstones directly purchasable, we’re also guaranteeing one per day in special bundles for the first six days of this operation. We’ll dive deeper into this process with an FAQ in the near future. Stay tuned! Hextech crafting and loot are now live in NA! Weâ€™re introducing the new system to reward you with loot-filled chests through Champion Mastery when you or your premade perform well and also provide a way to pick up randomized content at large discounts. Craft, earn, or purchase content like champions, skins, ward skins and summoner icons in new loot chests you earn by performing well across a variety of champions or as part of a premade. When you or someone in your premade party earns any S rank, youâ€™ll acquire a chest. You can earn up to four chests each month, and each champion you play can earn you one chest per season. Each time you win any matchmade game, thereâ€™s a chance youâ€™ll earn a key and winning with friends increases the chance of a key drop. Generally, you can expect to earn a few keys each month. For those who just want to pick up content at a significant discount, weâ€™re offering chests and keys individually in the store. All chests contain random loot worth more than the cost of the chest (well, depending on how you feel about Teemo) so you can purchase with the confidence of knowing youâ€™re getting a good deal (but a direct purchase from the store will still be the best way to pick up specific items). Weâ€™ve been testing Hextech Crafting and loot for over a month, and weâ€™re excited to bring the system live around the world. Weâ€™ll be rolling out Hextech Crafting to each region throughout the next few weeks, starting with NA (Turkey has already been live for the beta test). 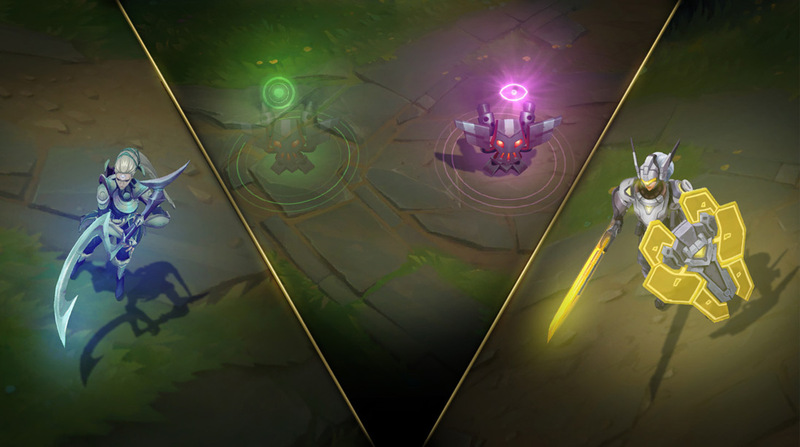 While this is the official launch, as with any part of League, Hextech Crafting and loot will continue to evolve (including tuning drop rates and the loot mix of each chest). One important note: if you use Hextech Crafting or loot, anything you unlock (shards, essence, even permanent content that you craft) using the new system WILL NOT transfer with you if you leave the server. Weâ€™re planning to remove this restriction once all regions have Hextech Crafting. 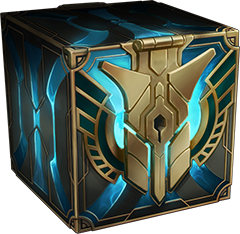 When Hextech Crafting and loot launch on your server, all players will receive a special First Day chest, which includes a skin shard for a champ you own, a ward skin shard, and enough essence to permanently unlock one of them. Trying to explain Hextech Crafting and Loot can be kinda tricky, so visit the 2016 Season Update or check out the FAQ below if you still have questions. GLHF and weâ€™ll see you on the Rift! What happens if I get a skin for a champion that I donâ€™t own? If youâ€™re not interested in unlocking that champ, you can re-roll a skin shard with three others for a shard guaranteed to be for a champ you own or you can disenchant the skin shard and use the new essence to craft something that better fits your playstyle (permanent loot disenchants into more essence than shards). Do chests include stuff I already have? Yes. Chests are random, and contain loot that might be duplicates of content youâ€™ve already picked up. Youâ€™re not stuck with it, though. At launch, you can re-roll or disenchant extra shards, and weâ€™re investigating ways for folks who have every champion to find a use for champ shards they pick up. When you re-roll, youâ€™re guaranteed not to receive a duplicate. Can I earn chests or keys with champs from the free rotation? Champion Mastery is about expressing depth with champions you play as part of your champ roster. If you want to earn chests or keys with a champ on free rotation, youâ€™ll need to unlock them and add them to your collection. Whatâ€™s the difference between the two essences? Blue essence is currently used to upgrade champion shards into a permanent addition to your champ roster. 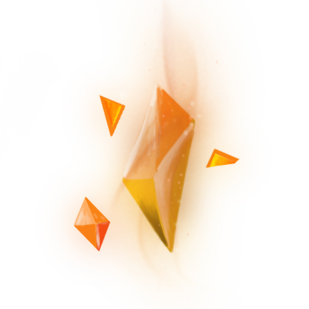 Orange essence upgrades everything else in the crafting system from skin shards to ward skins. I got something in my chest I havenâ€™t seen anywhere yet: whatâ€™s a gemstone? Gemstones are very rare crafting materials that you can use to forge a chest and key combo that might drop an additional gemstone! Down the road, gemstones can be combined to access exclusive hextech crafting loot. I own all of the champions. What can I do with champion shards? At launch, youâ€™ll be able to disenchant extra shards you find in chests for champion essence. Weâ€™re currently exploring ways for players with every champ to use the shards they earn but we havenâ€™t settled on the final form of the plan yet. As Hextech Crafting and loot continue to evolve throughout the season, weâ€™ll keep you posted on any new features we add. Can I still earn Champion Mastery chests when my account is restricted for unsportsmanlike behavior? No. Players who are chat or ranked restricted or currently banned from play cannot earn or unlock chests through Champion Mastery. Once theyâ€™ve reformed, theyâ€™ll be eligible for rewards again. What do you mean, content I craft using the new system will not transfer between servers? Because Hextech Crafting is a new system that isnâ€™t available on every server, crafting material (anything used at the crafting table, like shards or essence) DOES NOT transfer should you choose to leave the server youâ€™re currently using Hextech Crafting on. If you earn or craft permanent content, you can redeem it to add it to your collection (which WILL transfer), but if you leave it unredeemed, it would not follow you. Once crafting and loot is live in all regions, we expect to lift this restriction. The Hextech Crafting Q&A is now concluded. You can find all answers below; for a guide on how the system works, check HERE. Weâ€™re the Rioters behind Hextech crafting, loot, and the upgrade to Champion Mastery rewards and weâ€™ll be jumping into this thread around 11:00AM PST (about an hour from now) to answer your questions about the design and testing of the new system. First time youâ€™re hearing about Hextech Crafting and Loot? Learn more about the 2016 Season changes at the updated website here and then ask your questions below! The TLDR is we wanted to reward different playstyles, and having different ways of earning chests and keys lets us to do that. Chests are rewards for playing a diverse range of champions while demonstrating skill and teamwork. If you already play a diverse range of champions, or have friends you play well with, you’ll find it easier to earn chests than a solo player who has a narrow champion pool. Keys are random rewards for winning matchmade games of League of Legends. You can play ARAM, Ranked, Normals etc. The intent here is you play League the way you want, so we’ll be tuning with the goal that you’ll earn keys at about the same rate regardless of which matchmade queue you are playing in or what champion you are playing. Drop rate is higher with friends, but you won’t need to play with friends to earn keys at a good rate. What we’re going for with the above is players are rewarded for mastering a diverse range of champions, but players who prefer to play a smaller champion pool can still do most of the time. 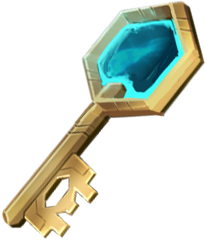 I know there are some detailed questions about exactly how chests and key drops work, I’m going to leave that one for RiotSocrates to answer! We’ll likely be using this system for things like ranked rewards and other achievement rewards in the future. No details to share on this yet though. We didn’t include any IP sink in this iteration of the system, since we wanted it to be valuable to both new and old players and thought it was better to just give away the rewards for free rather than to (IP) charge for them. With that being said, the problem of large IP balances is definitely on our radar and we’re looking at ways to help improve the situation this year. We aren’t going into detail around key drops, but there are some safeties in place to ensure botting / grinding aren’t optimal strategies. We agree that getting stuff you can’t use is not a great experience. We are working on something for players in this situation, but don’t have any details to share at the moment. There will be a daily limit on chests. We’ve considered IP purchase but it won’t be there initiatlly. There is a daily purchase limit on chests / keys, I believe it’s 10 or 20 per day. The new rewards are purely based on S grades after the system goes live, so there won’t be additional rewards for having achieved level 5 on champs. 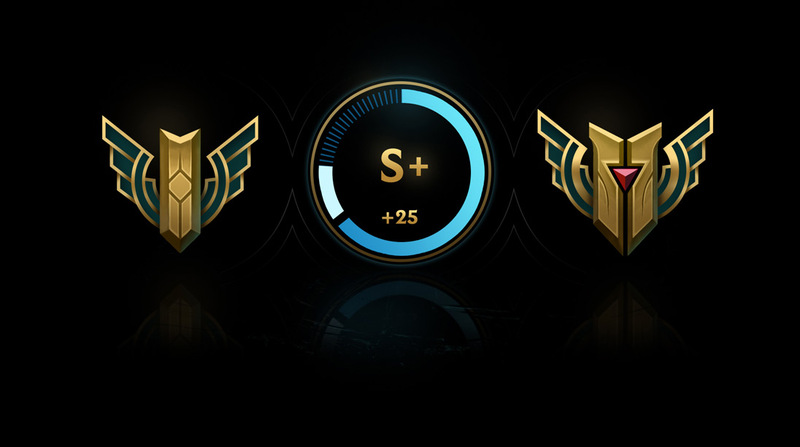 That said, being level 5 on champ means you’ll probably achieve S grades more easily when the system goes live. We’re exploring adding Mastery to other queues – definitely for keys, maybe for grades and chests. It’s most likely to be in modes that you choose your champion though. It’s something we’ve thought about but aren’t doing in the short term. It adds a lot of complexity and we wanted to get the first version of the system out as quickly as possible. Gifting chest is a cool idea. Will look into this but not likely for launch. Nope, mastery level doesn’t change key/chest drop rate. Great question! We don’t try to maximize dollars earned, but rather find a win-win balance of Player Value and Riot Value. We wanted to improve rewards and progression within League of Legends and thought the loot and mastery reward systems would be a great way to give players cool content for playing League and performing well with a diverse group of champs. We are also trying to bring players some of the lowest price points and biggest discounts for purchased content, so players can more easily build their collections. If you spend zero dollars and earn chests and keys then you will be able to get skins and other cosmetic items that you could never get before without spending money. We’re definitely going to be tuning and iterating over time based on player feedback. Don’t think we can do animated summoner icons in the current client, but having a way to unlock something specific to those champions is something we’d love to add in future. The loot inventory is separate from the store inventory, so you won’t be able to disenchant items you’ve purchased directly from the store or played with previously. You can use refund tokens if there are skins you no longer want and use the RP to get chests / keys. You will be able to upgrade shards into permanent skins and re-roll shards into permanent skins. We have skins from 520 RP – 3250 RP. Legacy skins are included. Legacy, Legendary and Ultimate skins will be included (as shards which you can upgrade or re-roll into). Limited skins will not be included. Your scenario is correct, although it’s premade not just teammates. If someone in your premade gets an S (S-, S or S+) and you haven’t already earned a chest on the champion you’re playing, you get the chest. We’ve built Hextech Crafting as a really flexible system and we expect that we’ll be able to add new types of content in future. That said, we don’t have immediate plans to add Chromas. Riot Letumiles:Â The Hextech system was designed to be an extensible system that allows us to include all types of content, but we have not made any specific decisions on what will be included yet. Minimum 1 item – typically a shard. Occasionally there can be an additional component in there like essence. Depends on the value of the thing you’re trying to upgrade and what you’re disenchanting. Anywhere from one to many. Can you put examples on the quantity of essences we will get from the chests? What’s the minimum / maximum? They drop randomly when you win games. It’s not mandatory to be in a premade but it does increase the drop rate a little. Chests drop if you get an S, or if someone in your premade gets an S, capped to once per champion per season. Keys drop randomly when you win a game. We’ll be tuning the drop rates on PBE and future patches to look to balance it in the way you described. No, you won’t be able to disenchant unlocked content, just loot. Great suggestion. We will likely be doing a podcast and using a few other publishing channels as we get closely to launch. We don’t have any plans to increase the mastery level cap atm. We are planning on continuing to build on and improve champion mastery as a system though. We’re not planning on a trading system. It adds a huge amount of complexity that would have really slowed down how we could ship the system. It’s not ruled out, but not currently planned. We feel great about the launch in that we’re really excited about the system and can’t wait for players to use it and give us feedback. You’re right that this is the first time we’ve had skins be earnable in this sort of way. That’s why we’ll be going to PBE for a longer than usual amount of time, and will do a beta in one region before we roll out everywhere else. All of the team play a ton of games so between us we’re familiar with similar systems elsewhere. We definitely tried to look at those systems and see what works and what doesn’t, as well as considering what sort of crafting system League needs. For example, we didn’t want to do something that adds a ton of overhead between each game, because after a great game, you generally just want to roll into the next game. Weâ€™re just about ready to start testing loot and Hextech Crafting. Tomorrow, January 13, weâ€™ll be introducing the new system to the PBE. We wanted to create a new way for players to unlock cosmetic content and champions, so weâ€™re introducing a new system in 2016. Our two goals are to recognize and reward great performances in League and provide a way to pick up randomized loot at large discounts. On Wednesday, Rioters behind Hextech Crafting, loot, and the upgrade to Champion Mastery rewards will be chatting about the design and testing of the new system, so head over to the Hextech Crafting and Loot Q&A at 11 AM PST on January 13, 2016 for even more info on the newest way to grow your League collection over time. First time youâ€™re hearing about Hextech Crafting and Loot? Learn more about the 2016 Season changes at the updated website here. To unlock your chests, you have a chance to randomly pick up a key each time you win any matchmade game and winning with friends results in finding more keys than going solo. Earn chests as rewards or purchase them in the store for 125 RP. Chests contain loot, loot shards, or essences and will sometimes include multiple loot types (but will never contain only essences). Earn keys as rewards for winning any matchmade games or by purchasing them at the store for 125 RP. Keys unlock chests through Hextech Crafting. Shards are crafting materials that can be combined via Hextech Crafting to unlock permanent content (like champions). Crafting not your thing? Shards can also be redeemed for limited time use. Champion essence is used to upgrade champion shards into permanent loot. 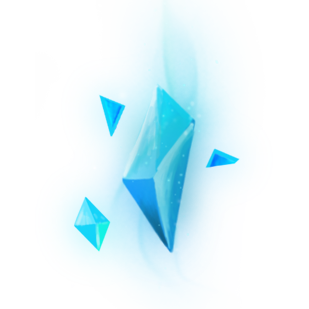 Cosmetic essence is used to craft all other types of loot from different kinds of shards, such as champion or ward skins. Redeem a single shard for 7-day limited time use or redeem permanent loot to add it to your collection. Reroll three similar types of loot into permanent loot of the same type (for example, reroll three different champion shards into a permanent champion guaranteed not to be a duplicate of one you own). Breakdown loot into essences. These essences are used to upgrade other items from shards to permanent loot. Use essence to transform single shards into permanent loot. Champion Essences upgrade champions, Cosmetic Essences upgrade everything else. Weâ€™re excited to share Hextech Crafting with all of you and weâ€™re looking for your feedback. Weâ€™ll update you soon with plans to debut the system on live. We knew from the beginning that while mastering a champion was a goal in and of itself, we also wanted to go beyond that to reward you for your feats. Our first attempt at this included in-game emotes, multikill banners and loading screen borders but… those were just the start. This year we want to keep recognizing you for the cool things you’re already doing, like playing with your friends or performing well across a wide variety of champions. We’re introducing a new system called “Hextech Crafting” with two goals in mind: one, create a new way to pick up randomized loot at large discounts (we’re tuning the drop stats here but, if you want something specific, a direct purchase will still be the most efficient), and two (this one may be more important for some of you), allow players to earn their way toward champions or skins for their in-game accomplishments. Free. Later in the new season, you’ll be able to earn Mastery Chests and Keys as you team up and compete with your friends. Upon acquiring (and combining) the two, you’ll be able to unlock the chest, earning loot items ranging from 7-day rentals to permanent skins and champions. You’ll have the chance to randomly pick up Keys and Key Fragments after each win. Playing with your friends will result in getting a few more keys than going solo and, if you’ve got the right kind of friends, wins should be easier to achieve as well! Once you pick up enough Key Fragments, you can convert them into full Keys at the crafting table. Mastery Chests will be tied to your post-game grades, which have always been a combination of your personal and team performance for that game. We’re still settling on the number of chests we’ll give out this way over the year (so it’s not a grind and we can get a clear view of the ecosystem we’re creating), but we’ll also be exploring ways to give out chests (and keys) for other modes and events. For those who just want to pick up loot at a significant discount, we’ll also be offering unique types of chests in the store that are guaranteed to be good deals! Finally, if the rewards you earn aren’t something you see yourself ever using, you can swap them for other content via the crafting table. When it comes to content you plunder, you’ll be able to redeem or modify it via the crafting table. Loot items you don’t want can be disenchanted into essences. These essences are used to upgrade other items from shard rentals to permanent content. Alternatively, you can use the crafting table to reroll 3 of any permanent or rental item into a different permanent item of the same type (skin or champion). We’re excited to share this system with all of you on PBE in the coming months. Our goal is to also build a scalable, robust system that future rewards can plug into. We’ll have a lot more details as the 2016 Season Update rolls out, so stay tuned!